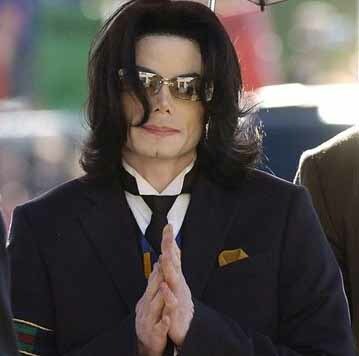 Michael Jackson, called the King of Pop, has died suddenly in Los Angeles at the age of 50. The singer was rushed to hospital Thursday, where doctors pronounced him dead. There are reports ... Michael Jackson may have died after getting a Demerol injection. 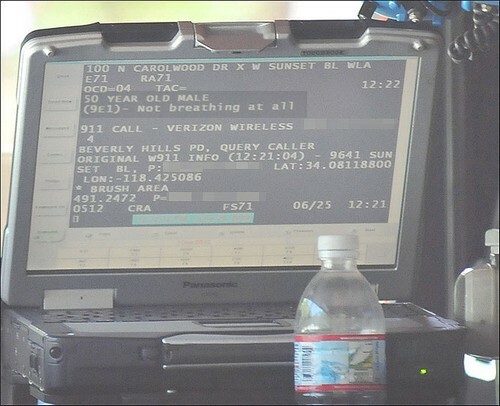 The call went out to paramedics shortly after noon that Jackson had suffered apparent cardiac arrest. Lieutenant Gregg Strenk of the Los Angeles Police Department said the singer was pronounced dead about two hours later at the University of California, Los Angeles medical center. "Currently, the LA County coroner's office is taking possession of Jackson's body. They will handle any other inquiries into the type of death or anything that relates to that," he said. As news leaked out, hundreds of fans converged on the medical center. Others gathered on Hollywood Boulevard at the singer's star on the Walk of Fame. Michael Jackson was born in 1958, the seventh of nine children, and he first found fame as a singer and dancer in the family pop group The Jackson 5. He outshone his siblings and by age eight, was the star of the group, thrilling audiences with favorites like ABC. In his later solo career, Jackson became a superstar. His 1982 album "Thriller," with its blockbuster hits "Beat It" and ''Billie Jean" was the biggest-selling album of all time. That year, he first performed his trademark moonwalk dance, gliding backwards while appearing to walk forward. The singer pioneered the music video genre, and arguably became the world's top musical performer. But Jackson was plagued by controversy as the years went by. He had multiple plastic surgeries and critics raised questions about his close friendships with children. Accused of molesting a 13-year-old cancer survivor in 2003, he was acquitted of charges two years later. His reputation in tatters, he struggled with financial problems. He was scheduled to begin a series of 50 comeback concerts in London. The first was set for July 13th, and they were to continue until next March. Tickets for the shows, offered in March, sold out in minutes. Speculation is building that Michael Jackson was targeted by members of the mafia in Los Angeles in what was believed an attempt by various disgruntled creditors to recover millions of dollars of money owed on failed business ventures. Sources in Los Angeles believe various "high-ranking" members of the underworld had been given orders to approach Michael Jackson in an attempt to recover money given the stars apparent rise in fortunes. The star is believed in an act of desperation may have overdosed on sleeping pills in a desperate last ditch attempt to avoid a grueling 50 date tour in London and confrontations with the underworld. An autopsy of Michael Jackson is likely to take place in the next few days, with funeral arrangement yet to be confirmed. Michael Jackson's health has long been the subject of speculation. During his trial on charges of molestation in 2005, proceedings had to be postponed several times when he had to go to hospital. On one occasion he arrived straight from casualty in his pyjamas. Jackson's poor health at the time was said to be related to the stress of the court appearances and hostile publicity over his relationships with young boys. But the strain of his lifestyle has always been apparent in his gaunt appearance as well as the rumours of addiction to prescription drugs. The singer died of a cardiac arrest. He had been under pressure to get fit for a gruelling run of 50 shows at London's O2 Arena beginning next month. We will know more about the causes of his death after a postmortem examination is carried out later today. There is speculation that his use of painkillers may have caused his death and there are unconfimed reports suggesting he may have collapsed after an injection of Demerol, a powerful painkiller similar to morphine that can in certain circumstances increase the risk of cardiac arrest. A cardiac arrest is when the heart suddenly stops beating. It occurs without warning, sometimes with no apparent reason, and is not the same as a heart attack. It can be caused by a heart attack – usually precipitated by heart disease – but also by anything from drowning to an overdose of drugs or electrocution. All of these can disturb the heart rhythm, causing it to overwork and then stop. Serious damage takes place quickly. "If you don't start the heart within eight minutes, the chances of survival are rare," said Ellen Mason, a cardiac nurse with the British Heart Foundation. Reports say that Jackson had a physician with him at the time – so it is assumed he had prompt cardiopulmonary resuscitation (CPR)‚ where somebody presses the patient's chest and breathes in to their mouth. CPR is unlikely to cause the heart to start beating again, but its purpose is to maintain the flow of blood to the brain and heart, delaying tissue death. It doubles the chances of the patient surviving. The heart can only be restarted using a defibrillator, which administers an electric shock. If paramedics reach the victim within eight minutes they can usually get the heart beating again. But in some cases of cardiac arrest, not even a defibrillator works. I'll always be Peter Pan in my heart. "Just because you read it in a magazine or see it on a TV screen doesn't make it factual. To buy it is to feed it." - about tabloid magazines. I made a terrible mistake. I got caught up in the excitement of the moment. I would never intentionally endanger the lives of my children. Elizabeth Taylor used to feed me, to hand-feed me, at times. Please, I don't want anybody to think I'm starving, I'm not. My health is perfect, actually. Elizabeth Taylor is a warm cuddly blanket that I love to snuggle up to and cover myself with. I can confide in her and trust her. She's Mother Teresa, Princess Diana, the Queen of England, and Wendy. I trusted Martin Bashir to come into my life and that of my family because I wanted the truth to be told. Martin Bashir persuaded me to trust him that his would be an honest and fair portrayal of my life and told me that he was the man that turned Diana's life around. I am surprised that a professional journalist would compromise his integrity by deceiving me in this way. Today I feel more betrayed than perhaps ever before; that someone, who had got to know my children, my staff and me, whom I let into my heart and told the truth, could then sacrifice the trust I placed in him and produce this terrible and unfair programme. Everyone who knows me will know the truth which is that my children come first in my life and that I would never harm any child. I also want to thank my fans around the world for the overwhelming number of messages of support that I have received, particularly from Great Britain, where people have e-mailed me and said how appalled they were by the Bashir film. Their love and support has touched me greatly. I was coming out of the shower and I fell and all my body weight - I'm pretty fragile - all my body weight fell against my rib cage. And I bruised my lung very badly. I love my children. I was holding my son tight. Why would I throw a baby off the balcony? That's the dumbest, stupidest story I ever heard. I have spent my entire life helping millions of children across the world. I would never harm a child. It is unfortunate that some individuals have seen fit to come forward and make a complaint that is completely false. Years ago, I settled with certain individuals because I was concerned about my family and the media scrutiny that would have ensued if I fought the matter in court. These people wanted to exploit my concern for children by threatening to destroy what I believe in and what I do. I have been a vulnerable target for those who want money. I'm a visionary and a creative person. God blessed me with certain talents. I hate to use an analogy, but Walt Disney was creative but not good with business. His brother Roy handled the books. He loved creating family-oriented entertainment and so do I. I feel that was a gift and I have that gift also. I'm very honored to have been chosen. "When I saw him move I was mesmerized. I've never seen a performer perform like James Brown and right then and there I knew that that was what I wanted to do for the rest of my life. (November 2003) Greatest hits compilation released on 17th November 2003, entitled "Michael Jackson: Number Ones", with one new song entitled "One More Chance". (November 2003) Arrested and charged with sexually abusing a 12-year-old boy. 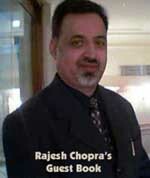 (February 2005) Trial for charges including molestation and intoxication of a minor begin. Expected to last at least 6 months. 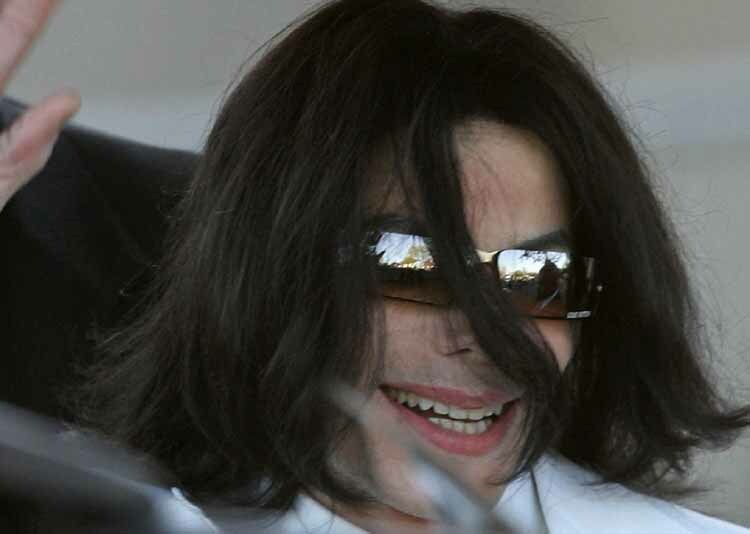 (June 2005) Acquitted on all charges in the child molestation and intoxication of a minor trial. (September 2005) Resides in Bahrain, a Muslim country that is located on the Southern part of Persian Gulf. Words can't come close to describing what Michael Jackson meant to a lot of us young minds and able bodies. He stood on a pedestal so high no one could touch him up to this very day. For me all other dance acts like usher, Omarion.etc were influencers in my music and style but Michael Jackson was my role model. One can't imagine the sacrifices and hard work he put into his career. He is a true definition of devotion and dedication to self art and music. He defined everything in entertainment from the songs, lyrics, choreography and oh yes! videos. I'm speechless, I am devastated, and I'm breathless. I feel I have lost a father, teacher and mentor. Even in our very own Nigerian Industry, he's influence is evident. There is only one true king of Pop. He was an inspiration not only on stage but in character as well. Besides the alleged scandals he was a true symbol of how artists, role models and entertainers ought to behave. We grew with Michael. He shared his life with us. There isn't a soul that doesn't know or wasn't affected by the great one. The king of falsettos and master of the stage. His passion for music was astounding and unbelievable. Letting us know that we are masters of our destiny. I owe him all my abilities and much more, because he showed me how to sing, dance, create and most of all how to DREAM! WE LOVE MICHEAL!! Landis: "I was lucky enough to know and work with Michael Jackson in his prime. Michael was an extraordinary talent and a truly great international star. He had a troubled and complicated life and despite his gifts, remains a tragic figure. My wife Deborah and I will always have great affection for him." Elizabeth Taylor: is too devastated by the passing of her dear friend Michael Jackson to issue a statement at this time. Corey Feldman - "I come to you today with great sadness, acknowledging the loss of the greatest entertainer in the history of mankind. For me he was more than that, he was my idol, he was a role model, he was someone to cry to when my childhood was unbearable, he was a brother, he was a dear friend." Arnold Schwarzenegger: We lost a great entertainer and a pop icon. My thoughts and prayers go out to Michael Jackson's family, friends and fans. Diddy: Michael Jackson showed me that you can actually see the beat. He made the music come to life!! He made me believe in magic. I will miss him! Samantha Ronson: His music is just as relevant now as it was the day they pressed record, I'm sure it will remain so for generations to come.R.I.P.Mr Jackson. Dane Cook: I'm dedicating my show 2night to Michael Jackson. THRILLER got me laid. Well... At least thats what I told my friends. Heidi Montag: the world has suffered a GREAT loss today Michael Jackson my thoughts and prayers are with his family, friends, and fans God bless. John Mayer: Dazed in the studio. A major strand of our cultural DNA has left us. RIP MJ. I think we'll mourn his loss as well as the loss of ourselves as children listening to Thriller on the record player. Ashley Tisdale: So sad. Saying a prayer for Michael Jackson. Shanna Moakler: The hard thing about getting older is watching all those who inspired you pass, love to the jackson family..
Rachelle Lefevre: Rest in peace Farrah Fawcett & Michael Jackson. Condolences to their families. Madonna: "I can't stop crying over the sad news". "I have always admired Michael Jackson. The world has lost one of the greats, but his music will live on forever! My heart goes out to his three children and other members of his family. God bless." Lisa Marie Presley, who was briefly married to Jackson in the mid-1990s, says, "I am so very sad and confused with every emotion possible. I am heartbroken for his children, who I know were everything to him, and for his family. This is such a massive loss on so many levels, words fail me." Brooke Shields: "My heart is overcome with sadness for the devastating loss of my true friend Michael," adds Brooke Shields, who raised eyebrows when she briefly dated Jackson. "He was an extraordinary friend, artist and contributor to the world. I join his family and his fans in celebrating his incredible life and mourning his untimely passing." Elizabeth Taylor: One of Jackson's closest and longstanding friends, was "too devastated" to issue a statement, her rep says. Quincy Jones: Jackson's biggest hits producer, says, "I am absolutely devastated at this tragic and unexpected news. For Michael to be taken away from us so suddenly at such a young age, I just don't have the words." Cher: "I am having a million reactions," said Cher. "When I think of him, I think of this young boy, this teenager I first met … He was a great teenager, optimistic and adorable." "He was a great singer. You can't write him off as just a pop [star]. He was a genius like Ray Charles … He had a gift… He was able to connect with people." Whitney Houston: "I am full of grief." Actress Jane Fonda: "I am stunned. My friend, Michael Jackson is dead. He lived with me for a week on the Golden Pond set after 'Thriller.' "
Neil Portnow: President of the Recording Academy, which honored Jackson with 13 Grammys, says, "Rarely has the world received a gift with the magnitude of artistry, talent, and vision as Michael Jackson. He was a true musical icon."